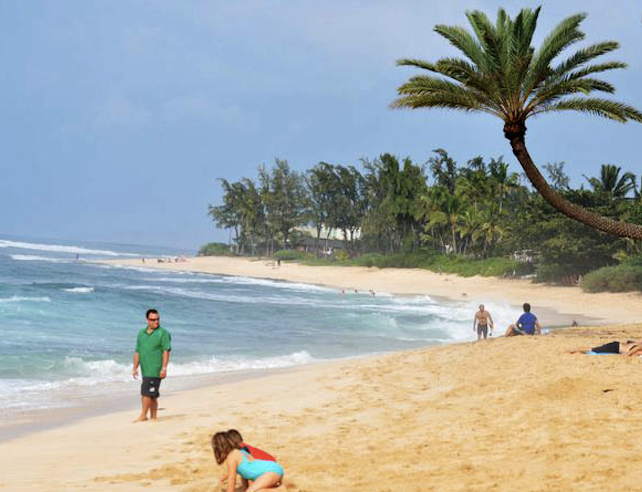 Tour of Hawaii's 3 Main Islands - Oahu, Maui and Big Island. The tour begins at the Arizona Memorial Visitor Center, watch a recorded film of the 1941 Pearl Harbor attack.. Continues to sightseeing Iolani Palace, Kawalahao Church, The Statue of King Kamehameha, City Hall. Begin with tour of Waikiki Beach; enjoy the Panoramic View from Diamond Head lookout/Crater-Hawaii’s most renowned landmark. During a breath-taking and beautiful 75 miles trip around the Island. we will visit Kahala, Haaona Blowhole, Makapuu Beach, Hawaiian homestead lands and the Nunanu Pali lookout. Morning free leisure time. In the afternoon for Polynesian Cultural Center, the world most successful cultural theme attraction. It is founded in 1963 by the Church of Jesus Christ of Latter Day Saints. Enjoy a buffet dinner and a 90-minute Polynesian Cultural show featuring over 150 performers. world famous Macadamia Nut Factory. Overnight stay in Big Island. 6 Days tour :Transfer to the Airport for Your Flight Back to Your Hometown. 7 Days tour : Take a Short Flight to Maui Island. Start Touring the IAO Needle Mountain Crater, Fields of Sugarcane,Tropical Plantation, Lao Valley State Park, Wailea Beach and Lahaina Whaling Village. Transfer to HNL Airport for Your Flight Back to Your Hometown. ※ Driver & Tour Guide’s Tips at $7 Per Day Per Person. ※ Hotel Upgrade is Available, Please Call for Details. ※ Passengers fly out Hawaii, please reserved flight 7a.m - 10:00p.m., flight arrive between 10:00p.m. to 7:00a.m. airport, P/U will add extra charge $50up/ Pax.